When I look out today across the HR landscape, I see something that is a great opportunity !! Those in the HR social media community have the chance to truly bridge the gap with the profession as a whole. I love seeing the great work that others produce in their blogs, their books and in their presentations. There is an amazing amount of material out here that ranges from HR generalist topics to compliance to development. The spectrum is amazingly broad, but not that deep. I don’t mean that as a shot. I think that there are an incredible amount of HR pros who truly are longing for resources, but they aren’t connected to “us” or the work we’re producing. You see, we tend to want people to “come see” what we do. Whether that be a blog, a webinar, or at events. I want to start a new movement where we PUSH resources out to HR professionals without worrying about membership or revenue. I also think we need to quit trying to qualify which “level” of HR person we should reach. When we splinter and categorize people into levels of importance or impact, we divide our profession – not bring it together. 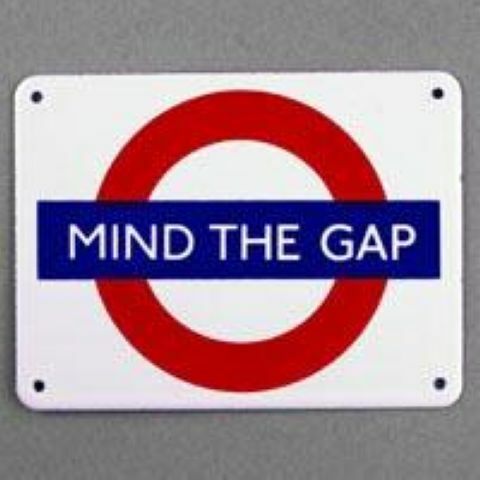 There is a gap that exists between those in HR that truly have resources and connections, and those that continue to rely on their own efforts. It’s a HUGE number of people. I think we have an obligation to close this gap so that these folks can be great professionals in their corner of the HR Universe. I am going to push other people’s great work out to the HR community through Twitter, Facebook, Linked In, and other forums. I want people to have your work to see what’s being done, and done well. I am going to continue to intentionally reach out to HR pros who aren’t as well known as others and ask them how they would like to get resources. The focus is going to be on ALL HR professionals and not just those who are vocal and visible. I am going to highlight the good work of others on my blog as they produce it like their books and events they produce. I am going to continue to look for ways to inform, educate and encourage HR pros to get connected where it makes sense for them. I will not do this on a short-term basis. This will be my intention going forward. I will highlight the passion of others to show how HR can be relevant personally, professionally and throughout all businesses and industries. This is meant to be intentional and ungovernable. It is meant to be persistent and far reaching. It is meant to wake up the HR community and get them jacked up about who we are and what we do. I’m like the Dancing Guy in the First Follower video. A friend of mine shared this with me and said, “The video made me think of you.” The question is . . . who’s going to follow ?? Author Steve Browne (Admin)Posted on March 17, 2013 Categories HR Strategy, LeadershipTags Change, creativity, Difference, HR, Human Resources, impact, intentional, Leadership, Positive35 Comments on HR Evangelism !! Be a Giant Slayer !! 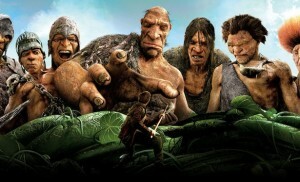 This weekend my whole family went to see Jack The Giant Slayer. We love going to movies in general, and I have to say that I enjoyed this take on an old fairy tale because it gave it a new spin. Jack was truly involved in the tale as a hero with character and not someone who was out to dupe the giant. It got me thinking about HR because EVERYTHING can be tied back to HR !! So often I find myself, and my peers, getting stuck on the minute and minuscule things at work. We spend endless time and effort on something that gives us angst, but has little to do with the scheme of things in general. Why is that? Why does our focus jump to something so insignificant? Do we feel that if we address whatever it is, we’ll be free and unfettered to do something amazing? No, in most cases we jump to the next small item. In the movie Jack and the princess “long for adventure” in their lives. Both feel that there is something out across the horizon that will bring excitement, thrills all mixed with the knowledge that the “unknown” is driving them. That’s what I long for as well !! HR should never been mundane or minimized !! Seriously, when you have the chance to work with people, the landscape of what can happen is truly endless. What would happen to your perspective if you saw every day as an adventure and that there were giants out there for you to go after and slay? I’m telling you that you would be geeked and couldn’t wait until the next challenge showed up !! Many HR people I meet are exasperated with their work and they don’t understand why HR truly invigorates me. I honestly don’t know if I can explain it. It’s just the way I’ve always approached it. I’m not naive. I know there are daunting aspects to HR. But, to me they’re an adventure !! So, this week see where your adventure can begin. Identify the giants that are in your path and seek them out instead of avoiding them. Take hold of your corner of the HR kingdom and jump in with both feet !! When you do, our paths may cross because I am already seeing what’s next on the unknown horizon !! It might be good for your soul. Take a note from the great group They Might Be Giants !! Author Steve Browne (Admin)Posted on March 3, 2013 Categories HR Strategy, LeadershipTags Change, creativity, Difference, encouragement, HR, Human Resources, impact, intentional, Positive, SHRM6 Comments on Be a Giant Slayer !! 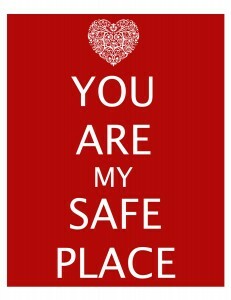 Are you a safe haven ?? Too often we hear people say “Shhh !! Here comes HR ! !” I know that most HR folks shudder when they are treated in that manner. When that happens, what does that say about how people view HR in your organization? Now, this isn’t a post that chides HR for not being visible, or tries to geek you up about making HR more vibrant and engaged. 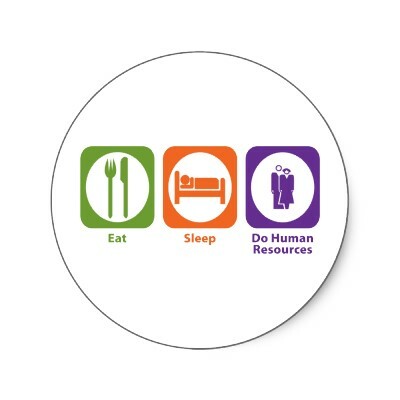 Those should be active ways of approaching HR everyday in my opinion. They should be in your fabric. What needs to be added is the ability to be accessible and available. Do employees look to you as a safe haven? What does that entail? It’s a bigger jump than you may think. You see, most employees do the “hush thing” when we come by because the only time they interact with HR is when there is a problem or something has to be addressed. If employees only feel that they can approach HR at times of dire need, or the classic need to put out a fire, then you’ll never be a safe place for them to share. Also, this isn’t just for a certain level of employees in the company. You need to be a safe haven for front line staff as well as executives. It’s like we’re Switzerland – a neutral body that is open and willing to listen, counsel and empathize. In my opinion, it’s an opportunity to be an incredible asset within an organization !! If you want to bring the “human” factor into your workplace, and make it a fact versus a passing trend, then you need to become a resource that is known to be safe. Trust me, people yearn for this but few HR people do it. We feel that we need to take sides with either Senior Management or the staff. Great HR needs to position itself to say – I’m here for the people. ALL of the people !! Don’t you love it when you have someone you can confide in? Those conversations may lead to working through tough situations and stronger employee relations. I’m not asking you to cover for someone, or do something unethical or illegal. However, turn off your Compliance First mentality and try the Human First approach. Trust me, people want it from all of us. This approach takes patience, energy, an open heart and most of all a genuine willingness to be there for your people. 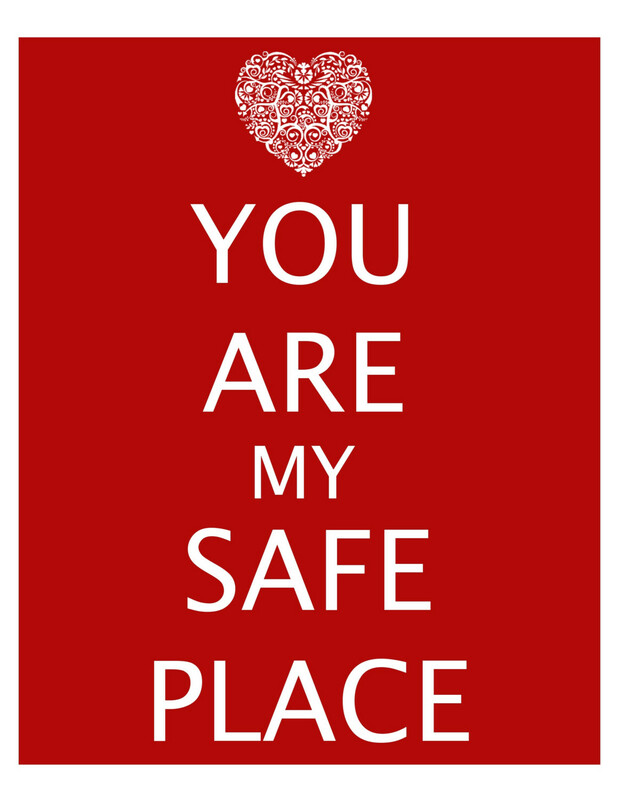 I encourage you to become a safe haven. It will make HR more rewarding than you ever thought it would !! Author Steve Browne (Admin)Posted on February 25, 2013 Categories HR Strategy, LeadershipTags culture, Difference, employee relations, employees, encouragement, HR, Human Resources, intentional, workplace3 Comments on Are you a safe haven ?? A huge event just happened, but you probably didn’t notice it. No, it wasn’t the Grammys. It was something much more relevant !! What was it? My dad turned 70 years old !! So what? People hit milestone birthdays every day. What’s so big about this one? Let me share a story . . .
You see, my “Dad” is technically my stepdad. My biological father passed away when I was four years old, and my mom raised my brother and I on her own for nine years until she met Don. Again, not a significant tale . . . yet. Now, I was the man of the house as the eldest son, and I was also an ignorant teenager who defiantly replied, “You’ll NEVER be our Dad !! He’s dead and you can’t replace him.” Don looked back at us and said, “That’s fine. I just wanted to ask,” and he humbly left our room. I thought I had put him in his place and didn’t think that I was being awful at all. He’s truly been my Dad from the day he came into my life. You may still be asking why this should matter to you as a reader. Here’s why . . .
My Dad has stuck with me ever since he came into my life. He knew that it was his role to leave a mark on my life. He modeled everything I have hoped to be as a father, husband, citizen, man of faith, humorist, speaker, etc. He never walked away even though I wasn’t accepting of him at first. In HR, we meet people every day and in various situations. Do you look at those interactions as a place to leave your mark, or are you too rushed and busy to see that you could make a difference? Are “things” more important than the time you spend with people? My Dad showed me the example of who I am, and who I plan to be for the rest of my life. Every person I encounter has purpose and meaning. 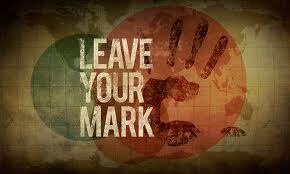 I have a chance to leave a mark ever day, every moment, everywhere. So do you. The question is . . . will you? Author Steve Browne (Admin)Posted on February 10, 2013 Categories HR Strategy, LeadershipTags Change, employees, encouragement, HR, Human Resources, impact, intentional, Leadership, Life, Positive11 Comments on Leave a Mark !! Hey HR folks !! Is the first word that comes out of your mouth when you head into work – “Ugh ! !” Seriously, does the dawning of a new day in your corner of the HR universe generate excitement and anticipation, or drudgery and a loathsome feeling? The are approximately 4 zillion posts on HR and engagement out there on the Internet now. I suppose that even as I type, more are being typed and posted. Rarely, however, do I see a post asking if HR is engaged. When I saw it, I just had to add it to my collection !! I wear this button along with my “HR Rocks ! !” button on my coat. When Team Members see them, they either snicker or roll their eyes. I’m actually cool with that because I want to get a reaction from them. I ask them why they give the reaction they do, and the answer I get the most is “You sure are an HR geek ! !” Sweet !! The other reason I got this button is to turn those of my peers who see our field as a giant mire pit of one problem leading to the next. If any of you reading this feel this way, it’s time to reflect and see if this is the field for you. I don’t want anyone to ever leave HR, but if any profession is defined by a black cloud or black hole approach, then you should get out of it. I think HR is dynamic, challeging, uplifting, passionate and messy !! How many fields can say that? I don’t want HR to be soft and fluffy. I don’t want HR to fall into the stereotypes that people often tie to us. I do want HR to be inclusive, intentional and individualistic !! We should meet people where they are – not where we think they should be !! Recently, I met with a Team Member for the first time to recognize her for her 5 year anniversary. We have over 1,200 Team Members who work various shifts on various days. I wish I could know all of them personally, but that’s very difficult. When she met with me her eyes were huge and she was anxious because she was meeting the head of HR. When I explained that I was there to recognize and thank her for her 5 years of service, she burst into tears and gave me a bear hug !! “I love what I do !! Thank you so much for this ! !” Messy and emotional. HR at it’s finest !! So, this week as you get ready to jump back into the mix. You have to ask yourself – am I going to just DO HR – or am I going to ROCK IT ??!! I think you know the answer I hope we ALL say . . . Author Steve Browne (Admin)Posted on February 3, 2013 Categories HR Strategy, LeadershipTags Change, Difference, encouragement, focus, Geeked, HR, Human Resources, impact, intentional, Leadership, OHSHRM, Positive, SHRM, workplace14 Comments on Eat. Sleep. Do HR. Enough or Not Enough ?? When you get to work on Monday, what’s the first thing that goes through your mind? You’re in HR and you get the opportunity to do something great yourself and through the people that work with you and around you. But, is that how you view things? This isn’t just the “half full / half empty” question. It’s much bigger than that !! I was reminded of this just last week when my good friend, Brad Galin, crossed State lines from INSHRM to speak to the State Council at OHSHRM. He spoke on moving from Scarcity to Abundance. The title may seem a bit heady, but it is a reality we all face when we hit the door this week. People are difficult. The odd thing that we forget in HR is that WE’RE people !! So, if we’re difficult too, then how can others see HR differently? In moving from scarcity to abundance, you change your viewpoint, your approach and your behavior. It’s not enough to much wish that you’ll do better. You need to move !! Why is that important you may ask? Isn’t in “enough” that we get our work done? Aren’t we measured (and measure others) on productivity? People aren’t processes or things. We keep losing sight of that, and, in turn, HR suffers. Thinking, and acting, abundantly isn’t some wealth strategy where you’re promised some mythical get rich quick solution. Being abundant means that your view starts positively and then moves forward from there. 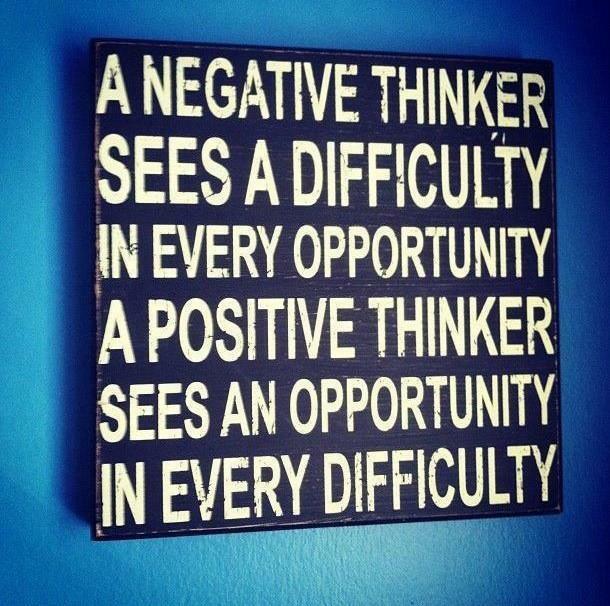 It stays positive too. Brad shared a great example from his work with Stone Belt, a non-profit group who works with adults with disabilities. He stated that the adults who are his clients are thankful for everything !! If you stubbed your toe, they’d say, “That was awesome !! Way to go !! You did that great ! !” The room laughed, but it was refreshing to hear as well. So, do you have enough or not? Can you be a great HR person where you are, with what you have and who you work with? Are you even asking these types of questions, or are you putting your head down and grinding through? There’s too much of life around you to keep your head down !! Remember that you’re difficult . . . just like everyone around you. Isn’t that freeing ?? Now, jump into this jumbled mix of humanity and live it up !! The folks around you have been waiting for you to join in !! Author Steve Browne (Admin)Posted on January 27, 2013 Categories HR Strategy, LeadershipTags Change, culture, Difference, employees, encouragement, focus, HR, Human Resources, INSHRM, intentional, Leadership, OHSHRM3 Comments on Enough or Not Enough ?? One of the coolest outcomes of being involved in social media is meeting the folks behind their avatars. The vast majority of folks I’ve met rock and the “connection” we had on-line has turned into friendships that have relevance and meaning. Today we are celebrating one of my dearest friendships that came from the various forums, and that is with Paul Hebert. Last year a tradition of #TimSackettDay was started for the inimitable Tim Sackett. To have it be #PaulHebertDay this year is just as cool !! Now, the commute from Greenville, South Carolina to Cincinnati, Ohio takes a bit of time – say 6 1/2 hours or so. He gets the prize for longest distance traveled to be at a Roundtable to date !! When he popped out of the car, I ran to hug him because that’s what I do when I see a friend. He was a bit taken aback for a sec, but he knew it was what brothers do. First time we met in person. First, now of many !! We saw each other at HRevolution in Atlanta, SHRM National 2012, Ohio SHRM (where he rocked it as a speaker) and most recently at GCHRA in Cincinnati. We always make time to catch up, share ideas and most importantly challenge each other !! You see, I dig Paul because he’s very intentional about life – as am I. I think that’s one of the key elements that ties us together. Most people shy away from folks who are fully intentional, but not Paul. He is always willing to mold thoughts, give various perspectives and hone our conversations. I don’t get mad about this. I CHERISH IT !! He’s facing a serious health issue right now, and true to nature, he put up a blog to share about his experience and I love it. In spite of the blog, I call him because talking to him is more intentional and that is what we’ve come to expect from each other. He’s pulling through this challenge and then he’s launching into his new business relationship with Symbolist. I’m geeked for him and for the great work that is going to come from this partnership !! When Paul wrote about coming to Cincy for the HR Roundtable, he used the Proclaimers fab one-hit wonder – I’m Gonna Be (500 Miles). In the lyrics they state how the person would be there for his friend no matter what. That’s what #PaulHebertDay is to me. I will be there for him no matter what !! Make sure you get to know Paul. You’re life will be more intentional and only brighter because of it !! Author Steve Browne (Admin)Posted on January 23, 2013 Categories UncategorizedTags connections, Difference, encouragement, friends, HR, Human Resources, impact, intentional, Life, relationships5 Comments on Being there !! Let’s Build a Barn !! You may or may not know this, but I grew up on a farm. My grandparents raised my brother and I in beautiful Luckey, Ohio (population now of 1,019 !!). It was about half that when I was growing up. My mom worked full time after the passing of my father. We didn’t think anything was “different” with this situation. We LOVED the farm !! I still love visiting the farms of my relatives. The smells, sounds and general feel of rural life still has a strong allure !! One of my favorite places on a farm is the barn. Barns are incredible places with their nooks, hidden passages, farm equipment, animals, and the obligatory farm cats that just “appear” out of nowhere it seems. Barns are treasured by farmers. They are incredible structures that seem to weather the test of time. It takes an amazing amount of effort and time to keep a barn in working condition though. They are usually massive buildings, and just to keep them painted is a monumental effort of time and money. Because of that, barns too often fall into disrepair as the farm (and farmer) age. You’ve seen the barns that make up the landscape as you drive through the country. It’s sad to see this because, at one time, something amazing happened in this essential component of the farm’s daily activities !! When I see these falling architectural giants, I think of the things that once had meaning and value at work, especially in HR !! You can think of those systems, approaches, policies and procedures that you never change. Chances are they make up the vast majority of your handbooks !! Our company’s landscape is littered with collapsing barns and we just won’t let them go. We think that if we still hold onto them, the glorious past of what once was will magically resurrect itself. We need to change our approach. Time to build new barns. Not ones that will last forever, but ones that will move our profession and our companies forward. The great thing about barn building on a farm is that it brings everyone together as well !! Make sure you see that the community you serve is involved. Let them bring their own building materials so that this new structure serves everyone !! 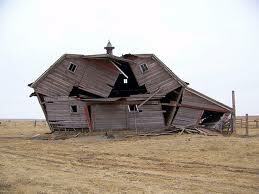 So, this week, pull out that handbook and review the collapsing barn you have. See what hasn’t been used, or is even relevant anymore. Tear it down. People will appreciate it. In its place build something new, exciting and effective !! You will be better for it !! Author Steve Browne (Admin)Posted on January 20, 2013 Categories HR Strategy, LeadershipTags Change, culture, Difference, HR, Human Resources, intentional, Learnings, Life, workplaceLeave a comment on Let’s Build a Barn !! I love puzzles !! I mean it. I love the challenge of opening a box and seeing thousands of tiny, misshapen pieces that only show a portion of a bigger picture. To be honest, I like puzzles that are also a little unique. I’m not a big fan of the large, scenic panoramas. If it’s something that challenges you and comes out with a very cool end product – then I’m in. At Christmas, the kids and I all got puzzles. Here’s a look at them . . . 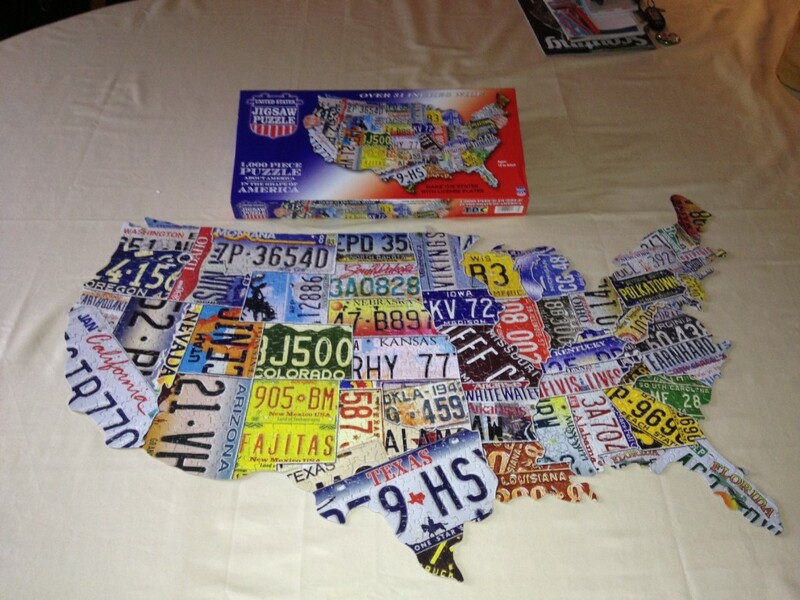 Cool puzzle of the US made up of license plates !! 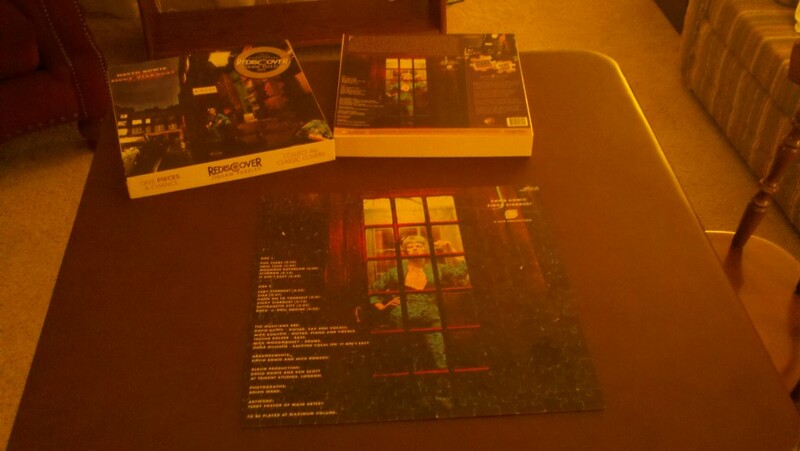 A double-sided puzzle of David Bowie’s classic album – The Rise and Fall of Ziggy Stardust and the Spiders from Mars !! Dig that – puzzles and rock combined !! Puzzles also offer great lessons for HR. Here are a few . . .
Give things framework !! – The first rule in most puzzles is to put together the frame because it defines the puzzles boundaries and also gives it just enough structure to give it cohesiveness. Great HR does the same when you look at employee situations as well as your systems and “frame” them up !! Every piece counts !! – When you look on a puzzle box and see that there are 1,000 pieces, then you rely on the fact that without even one piece, the puzzle is incomplete. What if we looked at our teams and our employees in the same way? If we had the approach that every person mattered, wouldn’t you strive to make sure that happened? We come in different shapes !! – It’s time that HR understood that diversity is all around us in our organizations. It’s not a program or an initiative. It’s a fact !! Just like puzzle pieces, people each add their own take, shape, approach and view on the work we do. Look at the big picture !! – The thrill of completing a puzzle is that you get to see the results of your work and the whole picture comes into view. Too often, HR gets hung up on one piece and can’t let it go until that one is “fixed.” When you see how the whole puzzle of employees, integrating HR, being strategic and moving a company forward come together – you’ll try to help pieces fit vs. trying to fix them. All of us in HR have puzzles we have to evaluate, consider, assemble and/or disassemble everyday. Instead of looking at that as a point of frustration, why not view it as a great thing to do? Seeing things come together will help you enjoy HR everytime the next puzzle comes along !! Author Steve Browne (Admin)Posted on January 13, 2013 Categories HR Strategy, LeadershipTags Change, creativity, Diversity, encouragement, HR, Human Resources, intentional, Leadership, Learnings, Life, workplace2 Comments on HR is Puzzling !! I’m Manic !! Who Knew ?? I love things that make me think !! 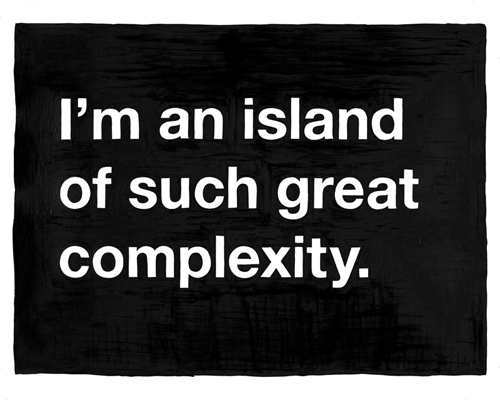 I relish something that truly challenges the way I approach life, work, values, etc. Following the norm has never really appealed to me, and I love hanging around contrarians. You know, people that take the boundaries of what is normally expected and then stretch them in ways in directions that just didn’t seem so readily visible. Meet Dr. Daniel Crosby – a friend, colleague and contrarian. He is an accomplished consultant to many industries, speaker at several conferences and now an author !! Recently, a non-descript manila envelope arrived at my house near the holidays with Daniel’s address on the return label. I opened it and there was no note – just a book. The title hit me square between the eyes !! “You’re Not That Great – A Motivational Book.” I was laughing so hard because it took me by surprise. How did he know? What this book just for me? Then I opened the front cover, hoping for a bit of his wonderful satirical wit . . . and it was blank. Must have come straight from the publisher. The book challenges you on every page and makes you use your mind. Normally when you read business books (especially about HR) you find more and more of the same things with someone’s “twist” on them. Not this book. It goes into great places to tear down your preconceptions and makes you understand the traps your brain puts you in when it comes to items like giftedness, self-esteem and being a bit crazy. I loved the chapter that states “Mania is a state of abnormally elevated mood that could almost be thought of as the opposite of depression . . . hypomanic (that is, slightly manic) individuals tend to be more creative and more prolific than their non-diagnosable peers.” (p43) Sweet !! Daniel often wants me to “cheer up” because I seem to be too positive. Now . . . I’m hypomanic !! Dig it !! You can see yourself in these pages and they are extremely applicable to what we do in HR !! The psychology of people is intertwined with every facet of HR. Instead of reading another tome on how to improve your talent management or some insane performance management system – read this instead !! Learn how you tick, how others tick and then see what approach works. Daniel helps affirm the fact that we are unique, slightly flawed and 100% human !! Make sure to delve into this book. I am rereading it already to be able to understand myself and also work with the GREAT people around me. It’s worth the investment !! Get yours now !!! I added the extra !!! for Daniel because . . . Author Steve Browne (Admin)Posted on January 6, 2013 Categories HR Strategy, LeadershipTags Change, creativity, Difference, HR, HRBlogs, Human Resources, intentional, Leadership, OD, Positive, Psychology, workplace1 Comment on I’m Manic !! Who Knew ? ?